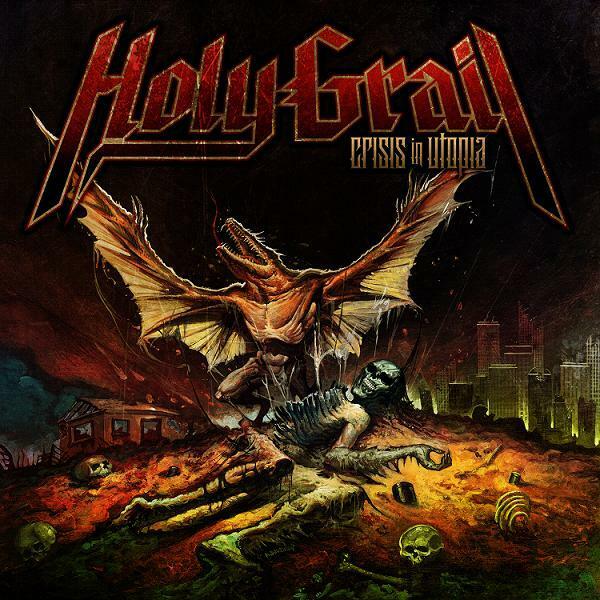 Despite only being around for a couple of years, Holy Grail have made a bit of a name for themselves. Aside from supporting Amon Amarth earlier this year and currently touring with Blind Guardian, they also have a tune available for download on the Rockband Network. Not too shabby for these Sunshine State kids. With Crisis In Utopia they can cross "debut album" off of their metal career bucket list and they can also look back and have something to be proud of. It's been a really long time since I've sat down and listened to a power metal album. I didn't know that's what I was going to get because I don't actually start my band research until I have my headphones on and the tunes cranked. I was instantly drawn into the huge sound that these guys produce and I admit that I got pretty excited about this record. 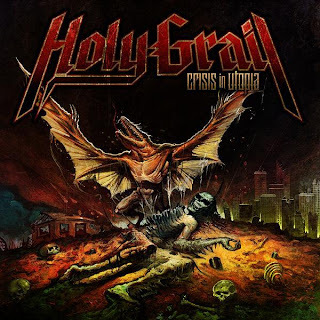 Despite the track record, Holy Grail sounds like a band who's been at this for years. The music on this record is very focused and has a lot of energy. Stand out tracks on this album for me were The Blackest Night, My Last Attack, Crisis in Utopia and Fight to Kill. In fact, all of you Rock Band owners out there should go and download Fight To Kill for a taste of what this band has to offer. 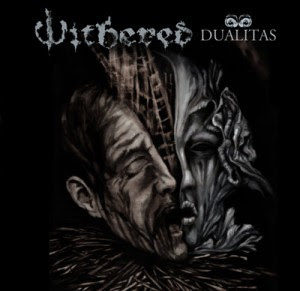 Withered has been around for about seven years now but I haven't heard of them until I played this album. This year the band has been working hard to record and release this album but they've still had some time to tour with the likes of Danzig and Skeletonswitch. Now, I'm not a huge fan of extreme metal so when the first track almost peeled my ears off I was really regretting having to listen to the other six tracks. However, I toughed it out and found myself surprised at what Dualitas had to offer. Musically these guys are really tight. I really liked the grooves that the band would lay down but unfortunately I wasn't a fan of the vocals. To me it seemed to be the one piece that didn't belong in the rest of the puzzle. Again, I can't compare this to their other records and something tells me that this isn't something new. Residue in the void, From Shadows and The Prognitor's Grasp were the stand out tracks for me. Aethereal Breath was pretty good as well but I felt that parts of the song were drawn out a little too much for their own good.